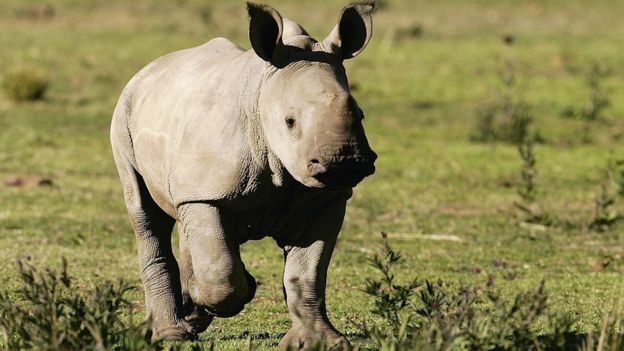 Rhino are amazing creatures, but how much do you know about them? 1) There are five different species of Rhino. Black Rhino, White Rhino, Greater One-Horned Rhino, Sumatran Rhino and Javan Rhino. 2) Rhino is short for Rhinoceros. This name comes from the Greek words rhino, meaning nose and ceros, meaning horn. 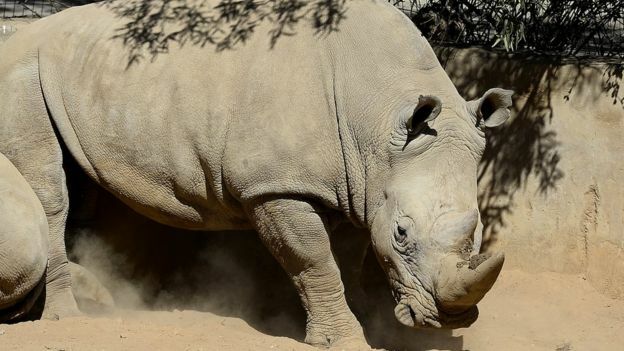 3) The White Rhino is the biggest species of Rhino. It can weigh more than 3,500kg, making it the second largest mammal on land. The Elephant is the largest, weighing up to 7,000kg. The largest species of Rhino: the White Rhino. 4) Rhino, along with Lions, Elephants, Buffalo and Leopards make up the “Big 5” animals that tourists like to see on safari. 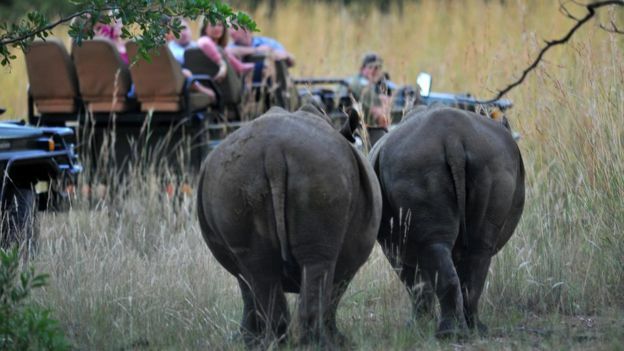 Two Rhinos spotted on safari in South Africa. 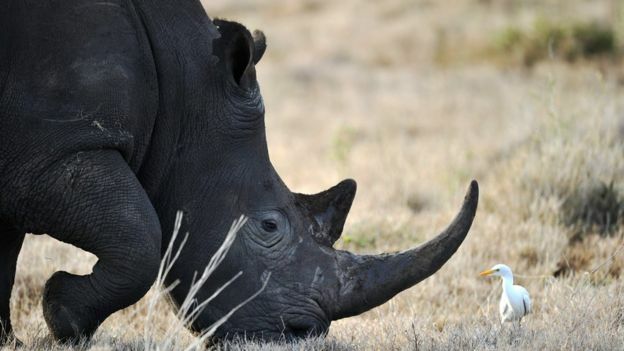 5) Rhino horns are not made of bone. They’re made from keratin, just like human fingernails and hair. 6) A male Rhino is called a bull, a female Rhino is called a cow and a baby Rhino is called a calf. A group of Rhino is called a “herd” or “crash”. 7) Rhino have three toes on each foot. 8) The Sumatran Rhino is the smallest rhino out of the five species. It is also the hairiest and the closest living relative to the ancient Woolly Rhinoceros that lived during the Ice Age. 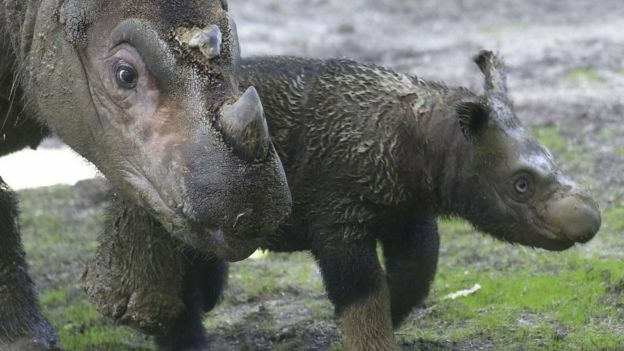 A baby Sumatran Rhino with its mum. 9) Rhino don’t eat meat. They are herbivores, which means they eat plants. 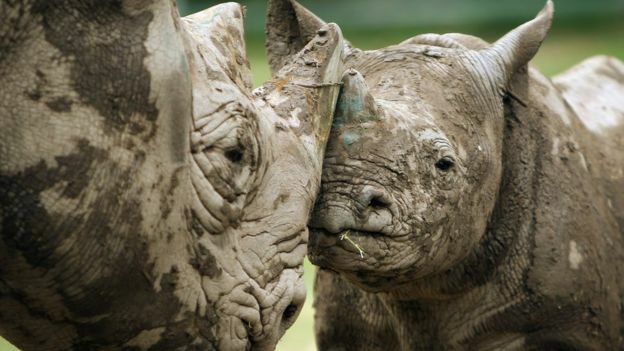 10) Did you know, the White Rhino and the Black Rhino are really the same dark grey colour? Sometimes they appear brown from wallowing in mud. 11) Rhino have sensitive skin. 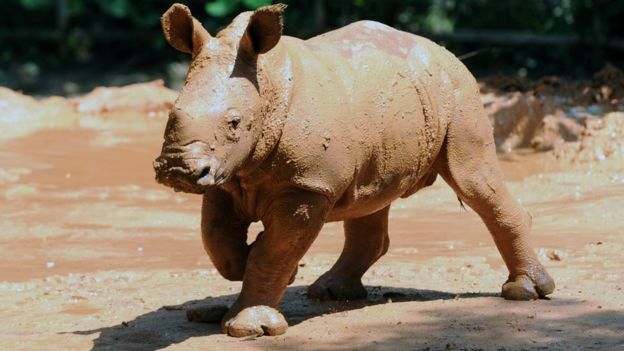 Wallowing in mud helps them to cool off, protects them from the sun and acts as an insect repellent! 12) Birds also help Rhino get rid of creepy crawlies. Oxpeckers often sit on a Rhino’s back and eat insects. They call out if there is danger nearby – what good friends! An unlikely friendship between rhino and bird. 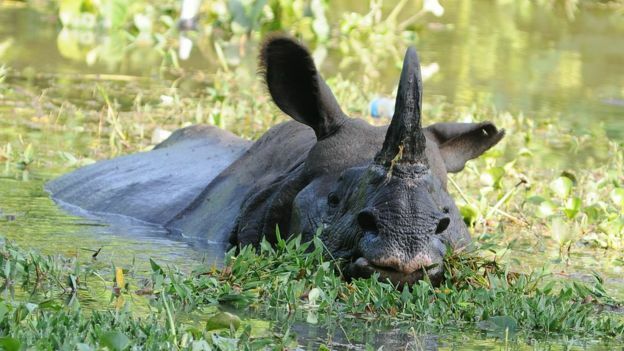 13) The Great One-Horned Rhino does more than just wallow in the mud; it likes to swim and can dive underwater for food. 14) Female Rhino are pregnant for a lot longer than humans. Instead of carrying a baby for nine months, Rhino mums are pregnant for 15-16 months.